For the first time in my life I seem to have been unlucky in the ‘days-off’ hand I have been dealt, with a few prior commitments getting in the way and opportunities to get out seemingly limited by work, daylight or weather. 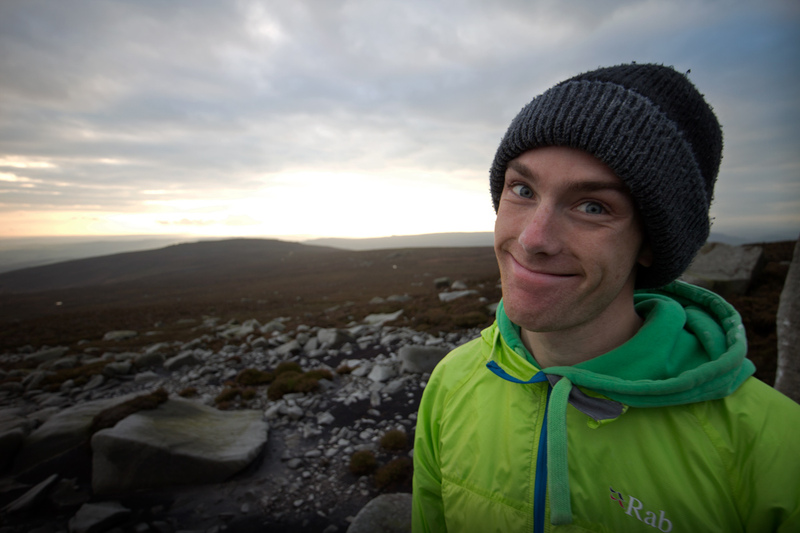 Since getting back from Australia I’ve had a few real stand-out days of climbing, so much so that the lack of recent activity – whilst a little frustrating – isn’t the end of the world. Perspective, maintain a sense of perspective. 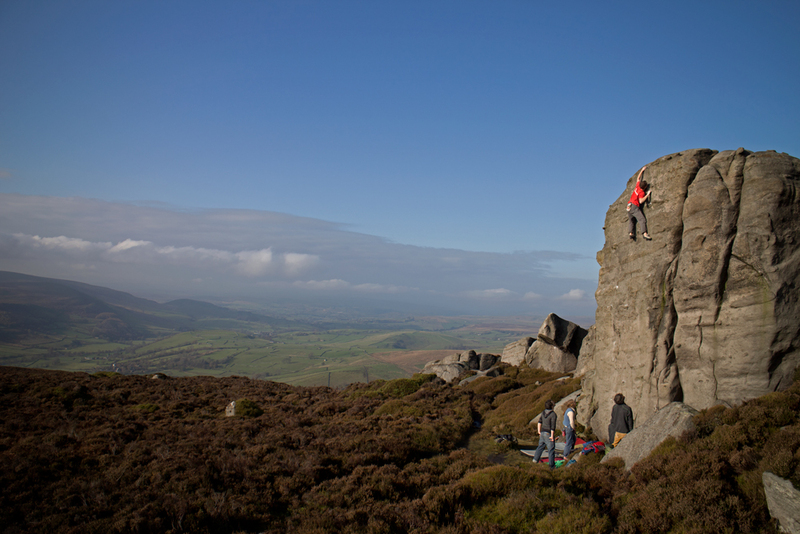 First up in the trio of class days out was Simon’s Seat in North Yorkshire. 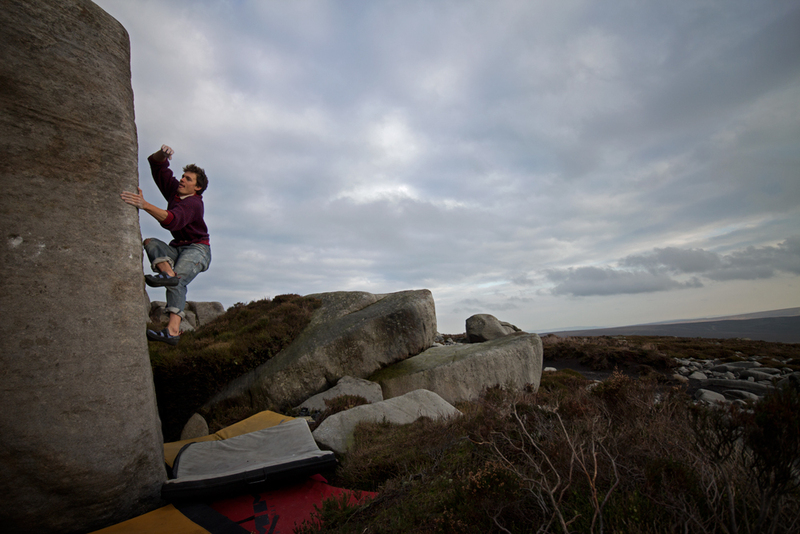 This is moorland grit at its finest: both location and aspect are stunning, the rock is incredible and the routes, highballs and boulder problems were all superb. 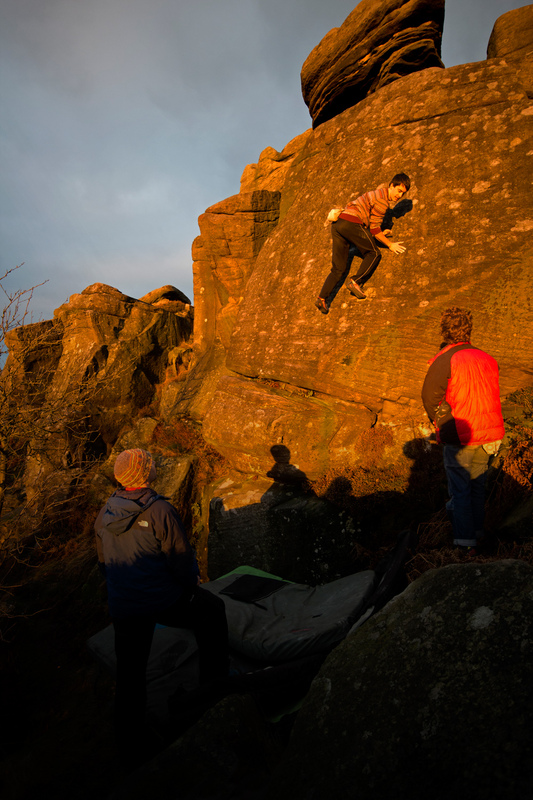 Highlights included And She Was, a neat little (well…little-ish) Font 6b highball and Bird Flu, a fantastic 7b arete over at the Hen Stones. Having only just returned from Oz this was exactly what I needed, mileage broddling around on the brown rock – micro-fun at it’s best. The following weekend the forecast was, once-again, looking somewhat patchy. In a show of commitment we decided to follow the forecast west, ending up in the far-flung county of Lancashire (I know, what were we thinking…). Thorn Crag isn’t a crag that gets visited by Peakies that frequently, the reasons mostly being down to distance/laziness and not the quality – the problems are all of an exceptionally high standard (and you can see the sea too). 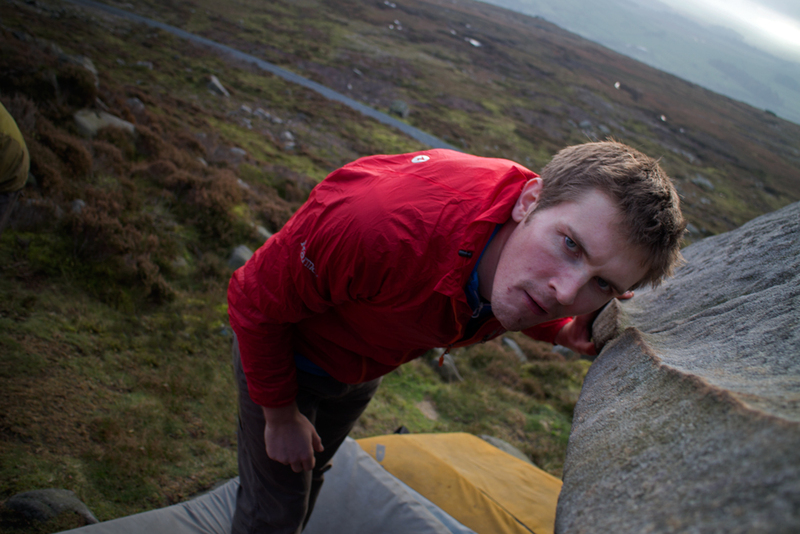 Highlights here were Slice of Life, 7a (the lowest highball you’ll ever do), Mothership Reconnection, 7a+ (home appliance hugging at it’s best) and Elemental, 6c (which contains one of the best features on grit). 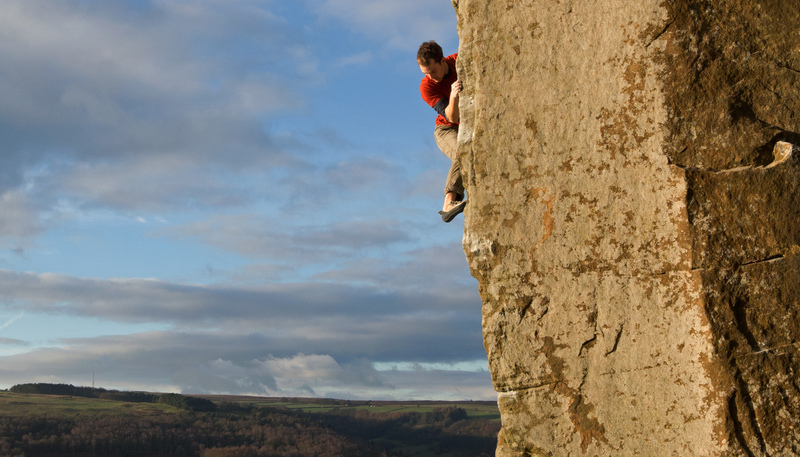 Click here to download Greg Chapman’s excellent Lakes Bloc Guide to Thorn Crag and make an excuse to get yourself over there as soon as possible! 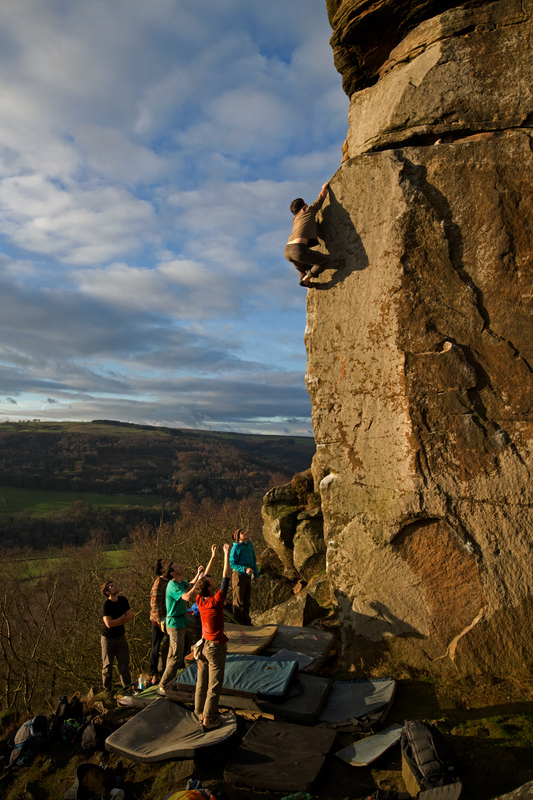 After three weeks back I realised I hadn’t actually climbed in Derbyshire, this clearly needed to be remedied and a group of us decided to pool as many pads as we could muster underneath anything we could get our hands on at Froggatt.